Just returned from a week with 2 adults and 3 children (ages 9, 9, 11) staying in this property. The description of the property was accurate and it accommodated us all well with the children being comfortable together in their bedroom. It was great not to have to use pull out beds in living area which is a decent size allowing seating for all and a separate space for eating. The small kitchen area is attached to the living area and is well stocked with everything required for cooking and eating in. Bathroom has a small bath and the overhead attachment was fine for showering if preferred. Everything was well maintained and apartment was clean and tidy on arrival. We were met and showed around by Sylvie who lives in the same block and was very friendly and welcoming and was always there to help if we had any questions. 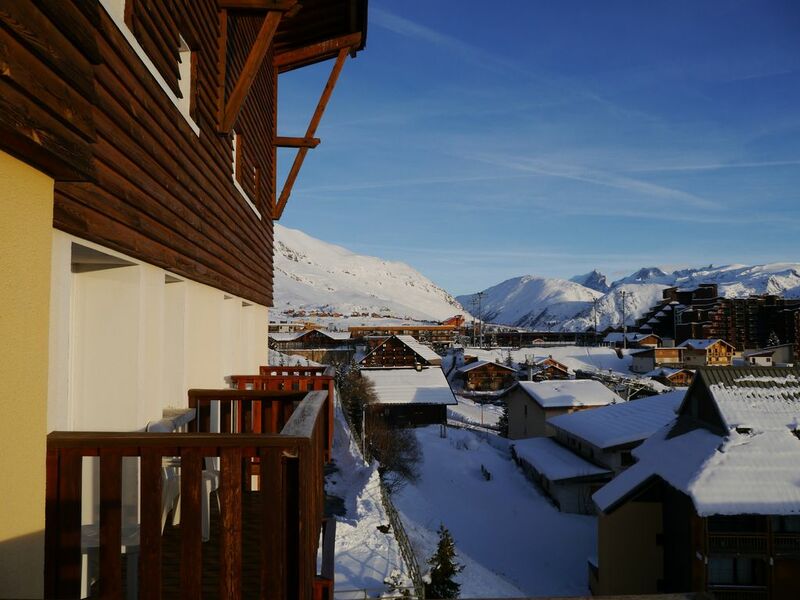 The location is great for skiing with a basket lift around 100 metres up the road giving direct access to the main resort ski lifts. Alternatively, taking a drag lift from the same place allows you to ski to the main lifts. There are shops, bars, restaurants and ski hire within 5 minutes walk adding to the convenience of the location. If you're looking for good value, basic accommodation in a great location, this is definitely worth considering. Very nice quiet apartment over two levels on the top floor. Beautiful views from the sunny balcony. Apartment equipped with everything you could need and plenty of space. Helpful, friendly lady on site to meet on arrival. Aucun soucis sur cette location. "logement très agréable,bon emplacement dans la station, très propre, j'y retournerais avec plaisir."